Revenue department, which is considered as a role model for the rest of the government departments has already embarked on the path of making changes in its traditional model of administration and governance by embracing information and communication technologies to carry out and implement the duties and responsibilities entrusted with it. This transition is taking place in a fast pace and the department has already incorporated digitization (e-Governance) in the administrative level and in the delivery of the various services offered by it. Collecting of land revenue/income/tax, protection and conservation of land, utilization of land, distribution of land, disaster management and relief activities, conduct of elections, census enumeration, protection of citizens charter, issuance of certificates, ensuring social justice and welfare of its people and protection of boundaries are the various functions and services offered or performed by the revenue department. Revenue department is committed to build a strong, efficient and transparent service sector. The head of the revenue department is the land revenue commissioner. The land revenue commissioner is assisted by joint commissioner, secretary of land board, director of survey and land records, SDMA director, district collectors, assistant commissioners, finance officers, deputy collectors of Vigilance department and High Court liasion officer. District collector heads the district revenue department. Deputy collector/ Revenue divisional officer/ sub – collector, Tahasildar and additional Tahasildar functions under the collector or assists the district collector. In Taluks, Tahasildar/ additional Tahasildars are entrusted with responsibility of revenue administration and in villages it is the duty of village officers. Taluk Land boards functions under state land board. The Central Stamp Depot is controlled by land revenue commissioner. 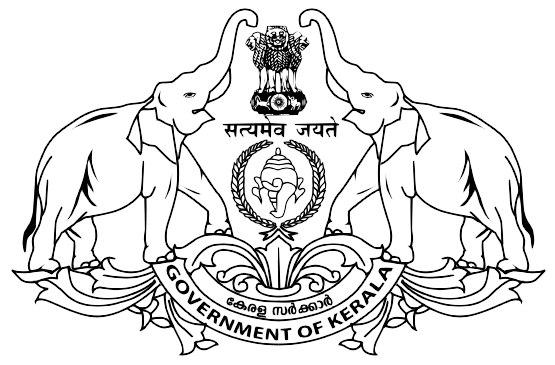 The Institute of Land and Disaster Management, an autonomous institution which functions under the revenue department provides training to the employees working in the revenue department. Every year February 24 is observed as Revenue Day. The revenue day also commemorates or is an occasion to remember the Travancore Settlement Proclamation made on February 24, 1886. Malayalam, the mother tongue of Keralites is the official language used by Revenue Department. The revenue department recognizes Malayalam as the official language of the department. To maintain transparency and to ensure the participation of public it is important to offer services in the mother tongue of the people. The department has formed an official language committee to ensure the smooth implementation of the language policy in this regard. The official language department gives awards to employees who provide best services in Malayalam language. The Revenue department follows the legal policy of the Kerala government. Apart from legal disputes which are too serious and complex and needs the intervention of court, revenue department itself find ways to settle minor disputes.